Bajaj Auto has played fast and loose with the Discover series with a multitude of models on sale during its 14 years. 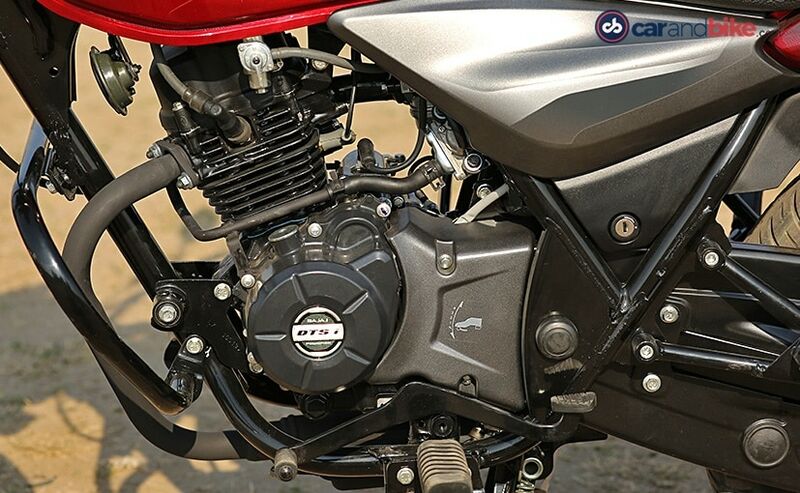 While Bajaj thought the customer would be spoilt for choice with its variety – 100, 125, 135, 150 – and tech upgrades (125 ST monoshock), the strategy backfired. Several Discover motorcycles have come and gone, sometimes without a trace (remember the 150 S & F), and this meant the company had to take a step back and re-work on its strategy for what was once a strong selling commuter. 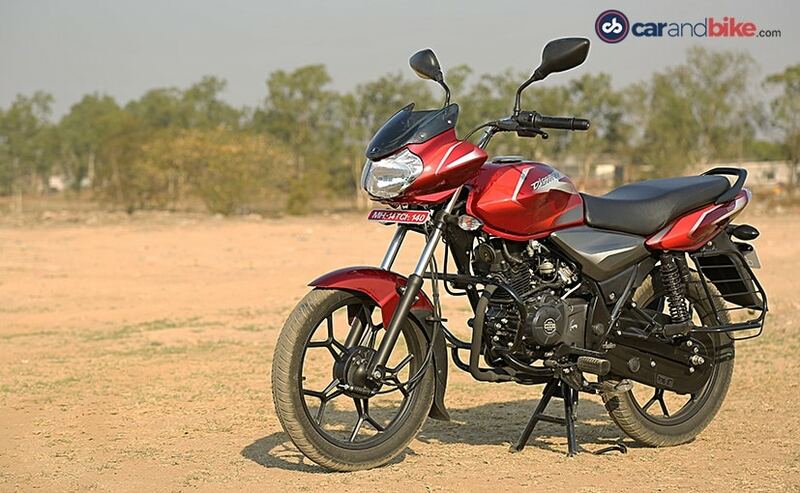 We were left with the Discover 125, the original model that still commands healthy numbers for the manufacturer, and now, Bajaj has expanded the Discover universe again with a 110 cc version. Interestingly, the original Discover110 was on sale over a decade ago but resurrects as a completely new offering. So, is the 2018 Bajaj Discover 110 a worthy challenger in today’s feisty 110 cc segment? We ride the motorcycle to get some answers. Bajaj says customer insight revealed that buyers in this segment like familiarity with the products and evolution in the design. This would explain why introducing radically different motorcycles within the Discover line-up didn’t work for the brand. The 2018 Discover 110 emerges from this school of thought and looks familiar right from the first glance. 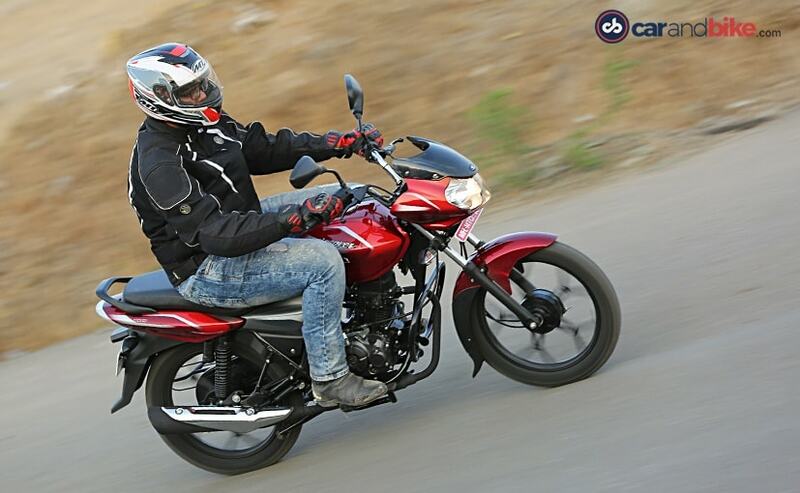 In fact, it shares a host of components with the Discover 125 including the headlamp cluster as well as the fuel tank. Both those parts are distinctive on the Discover and keep the nostalgia, if I can say so, intact. What’s new though are the LED DRLs integrated into the headlamp, which has been done seamlessly and adds a premium touch. The side panels, finished in dark grey, are completely new and create a nice contrast to the metallic paint. 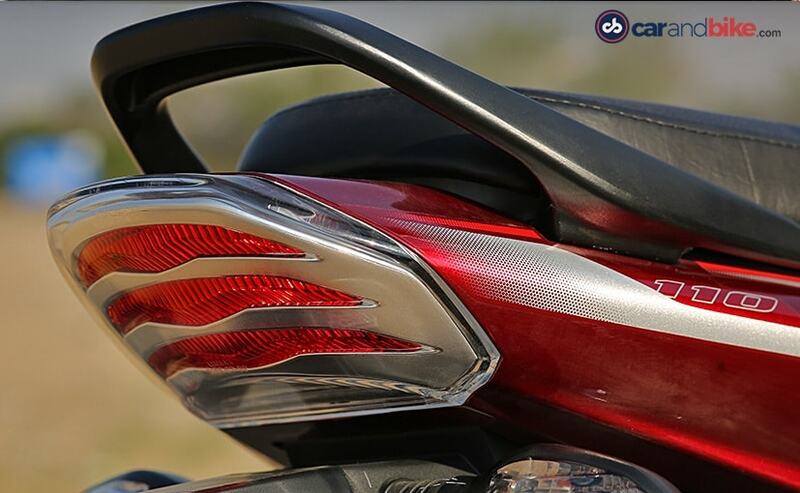 The taillight on the Discover 110 gets a textured plate covering the unit and adds some drama to the piece. The alloy wheels are a direct lift from the now-discontinued Discover 125 ST and web design looks premium on the bike. Personally, I’m glad that the Discover 110 looks the way it does. The bike’s design was always liked, but the modern elements make it look fresh. The instrument console is particularly well laid out and the big and strong fonts are easy to read at a glance when riding, even with the sun overhead. The unit has a large analog tachometer and digital LCD display is quite similar to the one on classic Pulsars. It comes with most essentials including the fuel meter, single trip meter, odometer and the speedometer but does not get a clock, which I feel is a must-have on a digital unit and is a big miss. Switch gear quality is basic but feels sturdy, while there is foam padding around the plastic parts to dampen the sound of rattles, which are prone with age. The foam could’ve been better concealed though. Swing a leg over the new Discover 110 and you immediately come to know of its compact dimensions. The seating position is neutral, best suited for average riders, but it does feel cramped at some places, especially if you surpass the average human height. The handlebar could’ve been slightly higher that would aid in a better riding position on long rides, while the narrow seat offers decent support. The seat is long and can accommodate the rider and pillion with ease. It gets soft cushioning to offer additional comfort. I loved the low-speed tractability of the new Discover 110. It’s one of the first things you notice on the motorcycle and much of that credit goes to a lovely engine serving purpose. Even though it’s called a 110, the new Discover uses a 115 cc single-cylinder, air-cooled motor. 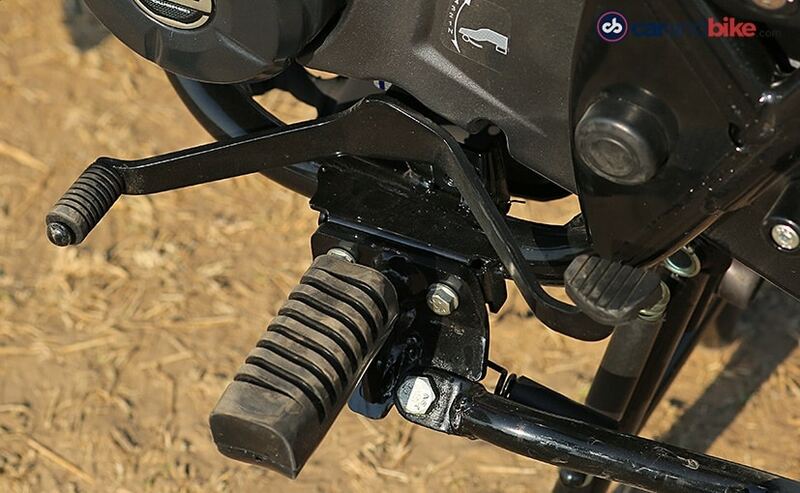 The unit is completely new and is part of the same family as the Bajaj V12 125 cc mill. In fact, the bore on this unit is smaller by 2 mm than that on the V12’s. 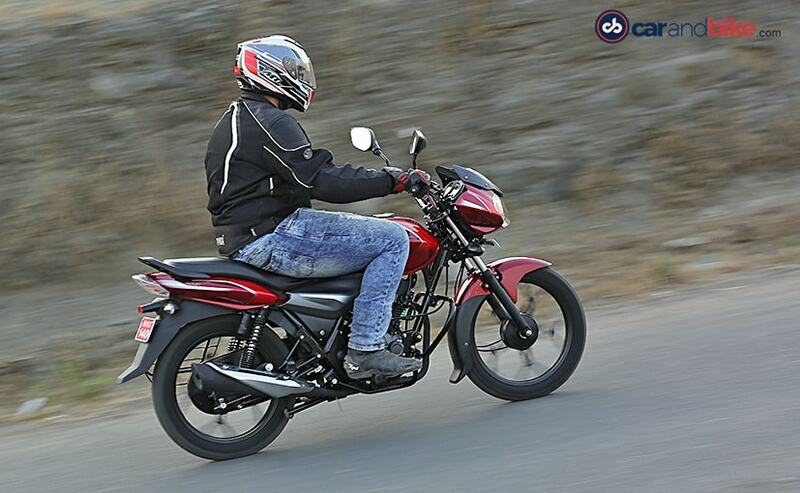 The 115 cc engine produces 8.4 bhp at 7000 rpm and 9.81 Nm of peak torque at 5000 rpm. This makes the Discover 110, the torqueist motorcycle in its class, while power output is one of the best. The 110 is quick off the line and most commuter riders will like the urgency the bike has to offer. 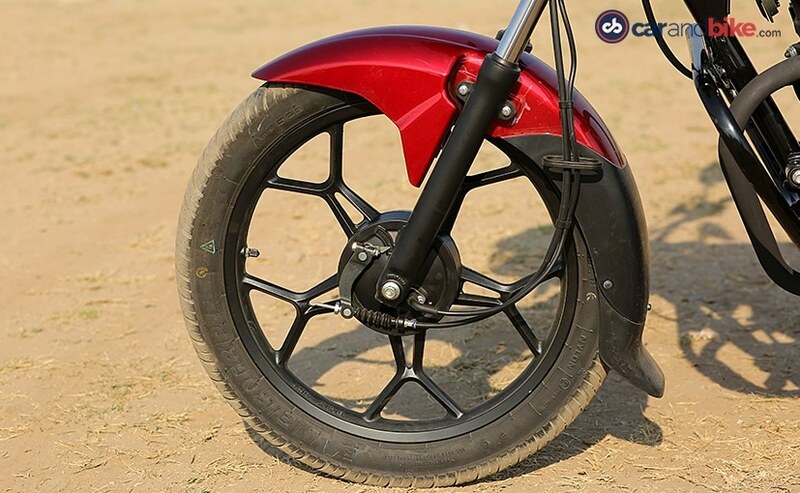 There is a wide power band and you can pull from as low as 20 kmph all the way up to 65 kmph at 6000 rpm, while in fourth gear without any revolt from the motor. The top speed is well over 90 kmph, but that’s really not where you would want to spend time. 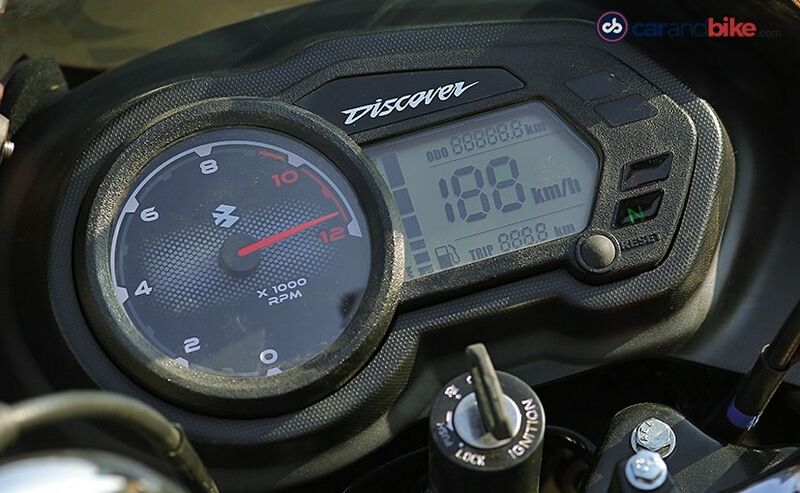 Speeds between 65-70 kmph at 6000 rpm, is the Discover’s sweet spot, beyond which vibrations are aplenty around the foot pegs, handlebar, and the fuel tank. However, should there be a time when you need that extra grunt, the Discover won’t leave you feeling wanting. The 4-speed gearbox, like other bikes in this segment, is quite likable and the gearshifts have a nice mechanical tone to it. For most commuter buyers, the all-up pattern is familiar and each shift comes with a reassuring click. While the shifts aren’t exactly seamless and the neutral at times can be a task to engage, the overall operation is easy and does the job well. The Bajaj Discover 110 shares its chassis with the 125, and gets the longest wheelbase in its class at 1305 mm. The extra length, which also makes it the heaviest in its class with a 118 kg kerb weight, helps offer better stability at high speeds and that is confidence inspiring. Our ride in Pune was a mix of city roads and the highway, and at no point, did the bike feel out of place. The suspension setup, again is carried over from the Discover 125, and includes telescopic forks up front (with 140 mm travel) and gas charged twin-shocks at the rear (with 120 mm travel). The setup offers the right balance between comfort and handling. We were gliding over most bumps and potholes, and trust us Pune has many, while the open roads allowed us to stretch the bike’s legs a little without losing comfort. The well-tuned suspension also makes the Discover 110 fun around the corners. By no means is the bike a corner carver, but the fact you can lean in makes even this puny commuter more involving to ride. Something, younger buyers will appreciate. 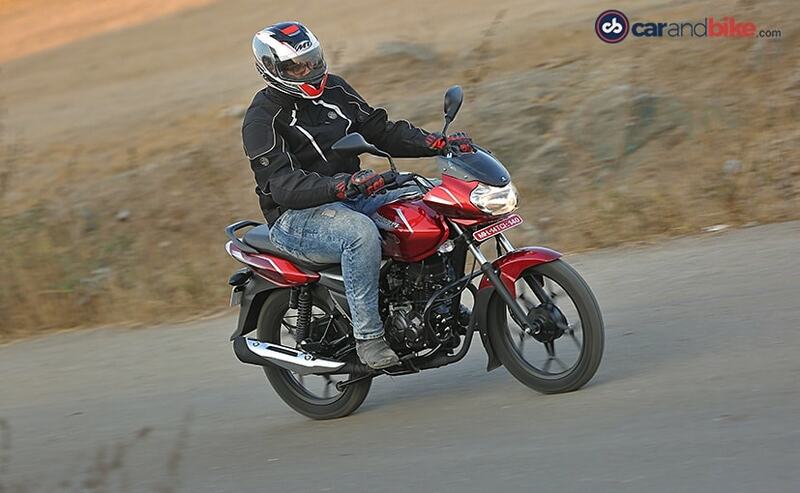 A department that Bajaj could’ve worked upon is better braking on the Discover 110. The 130 mm drum brakes at either end could’ve done with better feedback. The front unit lacks the bite that you wish for and feels too soft at times. The rear unit has a tendency to lock up under hard braking, which is dangerous. Bajaj says the customer who wants a disc brake will want more power from the motorcycle as well and will look at the Discover 125 instead. Nevertheless, given the wheels on the 110 actually come from the second generation of Discovers, the company says it won’t take too long to introduce a disc brake variant should there be a demand for one. Another requisite of the commuter buyer is high fuel efficiency and the Discover 110 doesn’t disappoint on that front. The bike claims an ARAI certified fuel efficiency figure of 76 kmpl, which equates to about a 600 km range from the 8-litre fuel tank. While that may be a little lower than the competition, it’s not a deal-breaker in my books. The Bajaj Discover emerges as a well-rounded package and that’s beyond the realms of affordability and efficiency. Even as a commuter, it is fun to ride, gets a tractable engine and offers impressive stability when the going gets fast. As a commuter motorcycle, it also boasts of impressive riding dynamics and while you won’t lean in too much, we do like that it’s confident around a bend. Throw in the fact that the Discover 110 undercuts most competitors with a price tag of ₹ 50,176 (ex-showroom, Delhi), it only makes a strong case for the offering. The Discover 110 is a challenger in a segment dominated by Hero and Honda and that will be a lot of work for the motorcycle. As the adage goes “If you can’t beat them, join them, and that just seems to make the Discover 110 a game changer that Bajaj expects it to be.